A bedside table is not only a decorative piece of furniture but also one that is functional. You can use it as a platform for a lampshade, as a bookshelf, or as a drawer for whatever you intend to keep inside. 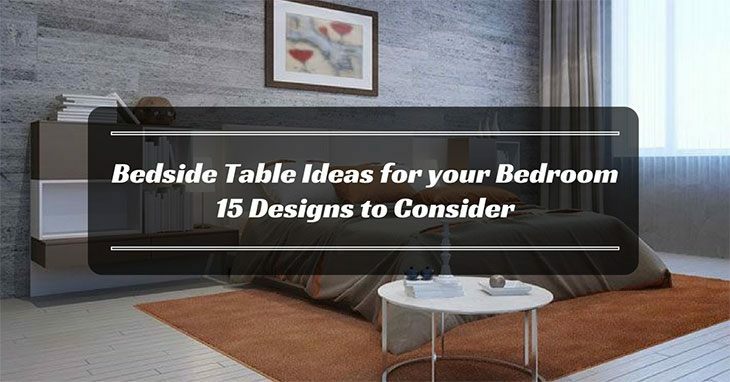 If you are thinking of bedside table ideas for your bedroom, consider yourself lucky as you are reading this article. 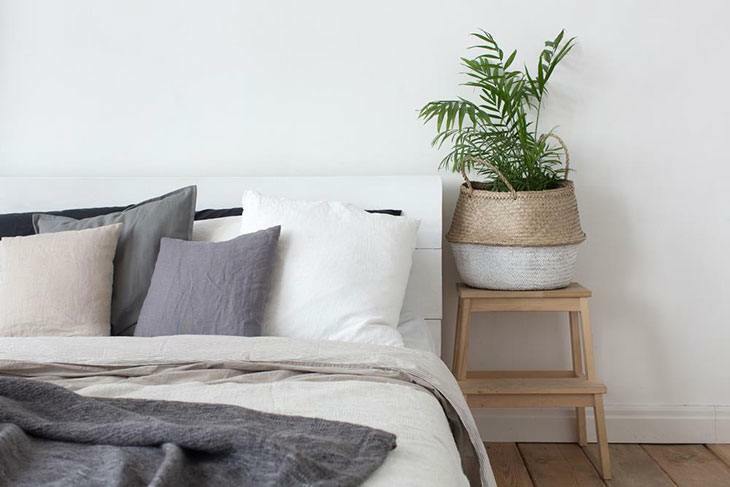 In the rest of this post, we will share with you some of the ingenious ways to come up with a bedside table that shows the perfect combination of form and function. Regardless of the look you wish to pull off, these ideas will surely be helpful. Head to the nearest antique shop and look for vintage suitcases. Purchase at least three of them. You can opt for similar or different styles but pick the same color palette. Stack the suitcases on top of each other at varying angles. In an instant, you will have an old-fashioned bedside table. This may not necessarily be a table, but still, it can be an excellent alternative to the traditional bedside table. It is a good choice if you are confronted with space limitations. The hooks will allow you to organize some of the essentials, such as your charger and earphones. 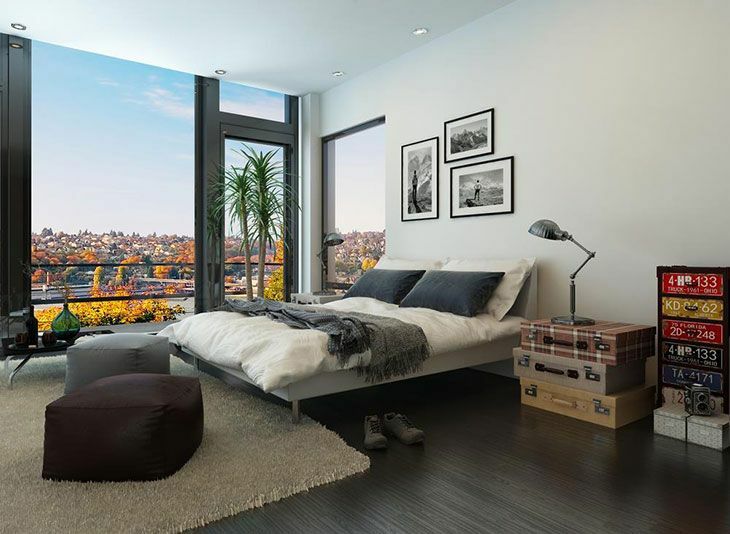 A tall and vertical plant box will also be a good choice, especially if you have a narrow bedroom. The thin and upright design will make it space-efficient. You can put a potted indoor plant on the top to add a hint of freshness in the room. If you have an old crate sitting in the attic or garage, it is now time to have it upcycled and make a bedside table out of it. Leave the crate as it is. Any labels or stickers will add up to its design and appeal. One good thing about this is that the crate can even double as a storage space. This is great because it is multifunctional. You can use it for sitting, as well as a makeshift bedside table. An industrial design is better because it has a lot more character compared to the normal stool. You can also make use of the space at the bottom for books and magazines. While it may involve quite an effort on your end, this is another creative idea that you might want to consider. Using galvanized metal sheets, add hooks on the side and hang it on the ceiling. Use two round sheets and hang them in different heights to have a more playful character. If you have lots of old books and magazines, you can also utilize them and build a bedside table. All that you have to do is to pile them on top of each other. Make sure that the thicker and heavier ones will be placed at the bottom so that it can form a strong support. This is another piece that won’t require you to spend if there is already one readily available at home. Cocktail tables are tall, which will also allow you to use it when writing or when using your laptop while you are standing. You can shorten the base if you want the bedside table to be shorter and more proportionate to your bed. Are you a biker? Do you have an old bike? If yes, take out its wheel as use it as the surface of the bedside table. You can build your own frame using metal scraps or wooden stands. Add glass or wood on the top of the wheel so that you can utilize the space. If there is a sewing machine that has been rotting in the storage room, build a bedside table out of it. If it is still in good condition, there is no additional work necessary. Just place it on the side of the table and decorate it with lamp or flowers. The stained wood finish will make it add a rustic appeal to your private space. A wooden garden bench will also make an excellent alternative. Cut the bench in such a way that it will fit in the available space. The good thing about benches is that they can also double as a spacious sitting area. Like crates, pallets are an easy way to come up with a bedside table. If it is in good condition, there is barely any work that needs to be done. The open space in the middle is also a plus since you can use it as an additional storage space. For nature-lovers, this is a good choice for a bedside table. Driftwood is wood that has been washed ashore. If you happen to get a hand on one, you can use it as the base of the frame of the bedside table. Just add wood or glass on the top and be sure to level out the surface so that it will remain stable. 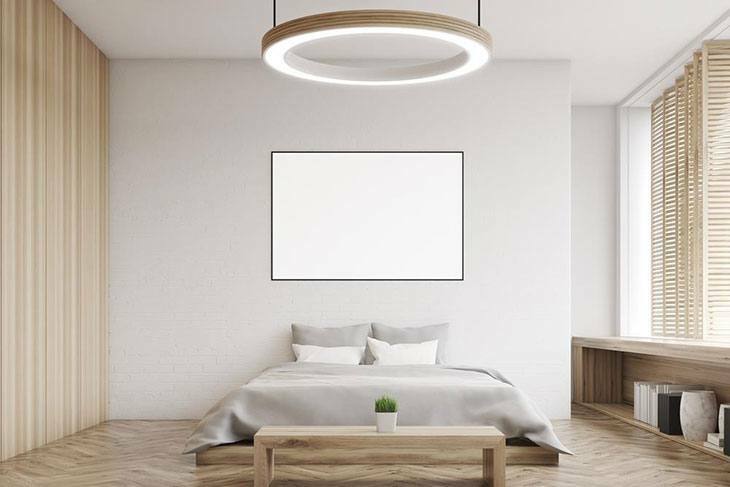 This can be a good idea if you just need a space for hanging some of the essentials in the bedroom. Also, you can build tables out of the steps of the ladder. Simply add wood with a width that is the same as the ladder. 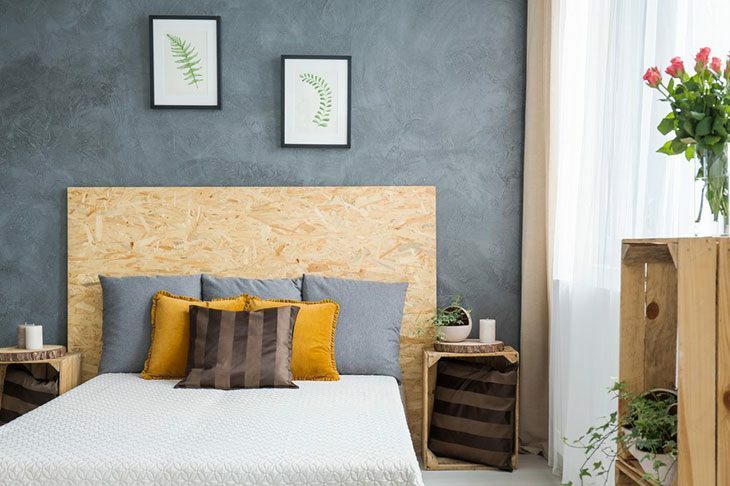 While it is illegal to cut trees without the necessary permits, if you can get hold of a tree stump, it will also make a great choice for a bedside table. Be sure that it undergoes the necessary treatment to preserve its structure through the years. It can also double as a stool. There should be no excuse for your bedroom to be boring. With this, consider the bedside table ideas for your bedroom that have been discussed above. 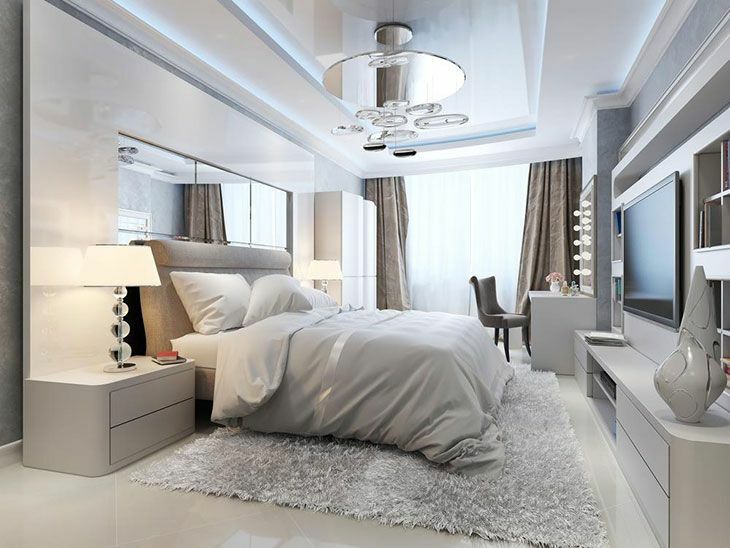 You do not need to spend a fortune and exert a lot of effort to come up with your own piece of bedroom furniture. Did you enjoy reading this guide? Is there any other design that you would like to add? Do not hesitate to leave a comment below (Source).